As President & COO of Game Development and Operations at SGN, a leading cross platform game developer and distributor, Josh Yguado is responsible for development, marketing, and operations for all games. He also leads mergers and acquisitions and ran the acquisitions of SGN, MindJolt and HallPass Media. Yguado is a co-founder of SGN, previously in charge of game development and responsible for successful cross-platform titles includingPanda Jam, Jewels of the Amazon, and Bingo Blingo. He joined SGN from Fox where he was Vice President of Business Development and worked on the acquisition of MySpace and the launch of Hulu. Yguado previously held strategic planning and corporate development positions at MTV/ Nickelodeon and Univision. He has an MBA from Harvard Business School and graduated with honors from Harvard University. Harry Potter: Hogwarts Mystery developer Jam City has acquired the Bingo Pop IP from games developer Uken Games. As part of the deal, the team behind the mobile bingo game will join Jam City and will be based in Jam City's new Toronto Studio. The Bingo Pop team will continue to manage the games operations, but further details of the deal were not disclosed beyond that. 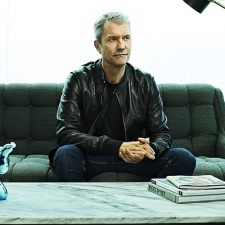 “We are so proud to be continuing Jam City’s rapid global expansion with the acquisition of one of the most popular bingo titles, and its highly talented team,” said Jam City CEO Chris DeWolfe. “This acquisition provides Jam City with access to leading creative talent in one of the fastest growing and most exciting tech markets in the world. Regarding the company's presence in Canada, Jam City remarked that the country is swiftly becoming a haven for top games developers, engineers, designers and artists due to its prestigious universities, universal healthcare, affordable housing and diverse communities. "Jam City is looking forward to tapping into the large pool of talent across the region and expanding our operations in such a vibrant and trend-setting city,” said DeWolfe. The acquisition and studio opening follows on from Jam City’s multi-year partnership with Disney to craft a slew of mobile games based on the Pixar and Disney IP. The deal also saw Jam City take over as publisher for pre-existing title Disney Emoji Blitz. Speaking to PocketGamer.Biz previously, Jam City president Josh Yguado said the deal fitted perfectly into the company’s strategy to become an entertainment company. “We’ve always believed in a balanced portfolio of in-house developed new original IP and licensed third-party IP,” said Yguado. Jam City will be back at Pocket Gamer Connects London (January 21st to 22nd), with director of corporate development John Peterson set to take part in a speed panel at the show.